The purpose of the business description is to give your reader an overview of your company, including the company structure, current status, future plans and any other information they may need to know. The business description in a business plan gives interested people some insight on your company. Letting them get to know your company better will help them to feel more connected to your business, which could affect how they make decisions regarding financial matters with your company. How do you Structure a Business Description in a Business Plan? When you first sit down to write the business description portion of your business plan, you may feel overwhelmed. There is so much to say about your business, you may not know where to start. Plus, you do not want to leave out anything important. 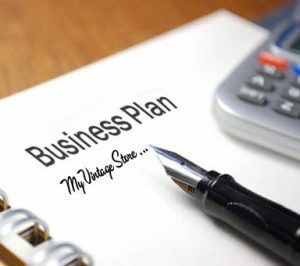 However, if you break the task down into individual parts and work on one at a time, you will find writing your business plan is not as difficult as you might have thought—and you will be finished sooner than you ever believed possible. When you write the business description, you need to lay out this section in an organized and logical manner. You want your reader to be able to follow the timeline and get a clear picture of your company. A scattered, random listing of facts will make you appear disorganized and unprofessional, and that is not the impression you want to give. A good way to begin your business description is by describing the industry you work in, which will give the reader some perspective as to how your business fits in and show them why yours is a good industry to be in. Discuss how the industry looks today—trends, growth and volumes—as well as a projection of what the future may hold. Keep your business description factual, with verifiable facts and figures and accurate statistics, not conjecture. People making financial decisions about your company do not want to base their decisions on guesses. Be honest and forthcoming about the state of the industry and your competitors in your business description. If there are any other products on the market, political developments or economic conditions that will help or hinder your sales, you should include this in your business description. This will not only provide transparency your reader needs to have to fully understand your company’s chance of succeeding, but this exercise will help you to make sure you are considering everything you need to in making decisions on how you run your business. Cite your sources to lend credibility and assure your reader your information is dependable. Once you have set the stage for your reader by describing the industry, you can move on to describe your own business. Start with the basics: whether your company is a new or established business, how long you have been in business and your performance to date. You will also need to discuss your structure. Is your company a corporation, sole proprietorship or partnership? Discuss who the principal owners or officers are and what expertise they bring to the company. Does your company do primarily retail or wholesale business? Service or manufacture? How many employees do you have, and what is your general management structure like? These are all questions you should be sure to answer in your business description. Including a paragraph on your company history in the business description will help your reader feel more connected to your company. Your company history should include major milestones, such as when the company was founded and how the business has grown over the years (for an established company). Even if your company is new, you can use this section to explain how you came up with the idea for your business and how you made your idea happen. You can also discuss your company culture here. Another important component of your business description is a discussion of your current and future goals. Talk about your short- and long-term goals for the future, whether they involve reaching a certain level of sales, plans for expansion or achieving a specified level with your quality metrics. Whatever your goals are, they should be quantifiable and reasonable for you to achieve within a specified time frame—but not too easy. You may feel as though writing a complete, yet succinct, business description is difficult and intimidating. However, this process does not have to be hard or scary. By breaking down the business description into pieces and tackling them one at a time, you will find this task to be much more approachable, and in fact, that writing one is a good management exercise. By organizing your business description in a logical manner with a description of the industry, basic facts about your company structure, mission statement, history and goals, you will provide your reader with everything they need to know about your company. The business description in your business plan is not only a very important piece, but also a tremendous opportunity to tell your story and show how you shine.